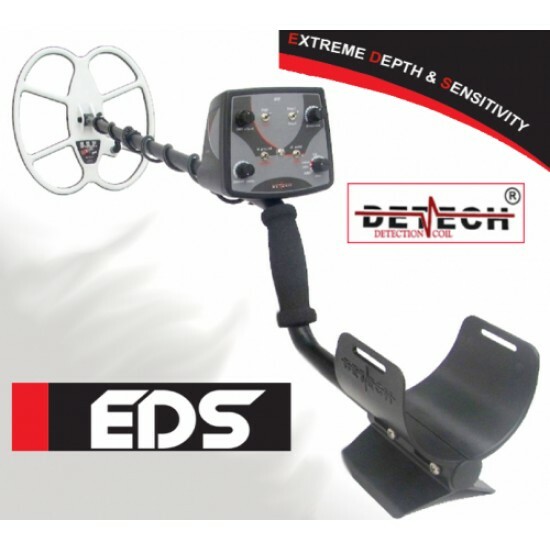 Detech EDS (Energy Dispersive Spectrometer)14 kHz Plus II is a metal detector with extreme search depth and stability on mineralization. It's equipt with a butterfly SEF search coil with coil cover. The result of various of tests on different targets, soil type and inviroment conditions has lead to the optimized all terain EDS Plus II metal detector.